From time to time, people ask me if it’s possible to send text messages from their apps. 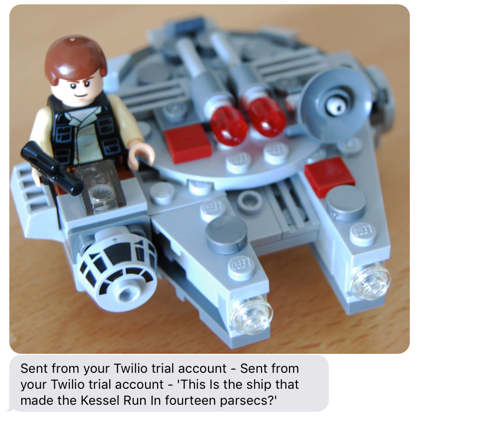 As is the case with most things, the answer is “Yes, if you know how” 🙂 One of the easiest ways to send text messages is to use a web service called Twilio. Twilio has many types of services related to telephones, including making and receiving phone calls and text messages. Twilio is not a free service but you can get a free developer account with a credit to test it out. On this page you will see some sample code on the right. Click the drop-down to switch to the sample code for CURL, which is what I’ll use to translate to Xojo code. Essentially, I’m using a Xojo.Net.HTTPSocket to send call the Twilio web service to send the SMS message. Dim url As Text = "https://api.twilio.com/2010-04-01/Accounts/" + kAccountSID + "/Messages.json"
Have fun sending texts using Xojo and Twilio!